Rebecca is the winner of Vol 2-3. She is an accidental achiever extraordinaire. Currently completing a pathology residency in Utah, she maintains her sanity by engaging in violent video games, watching horror movies, and—of course—writing in her spare time. Her story, Zoe’s Last Birthday, is scheduled to appear in Vignettes from the End of the World, a forthcoming anthology from Apokrupha. 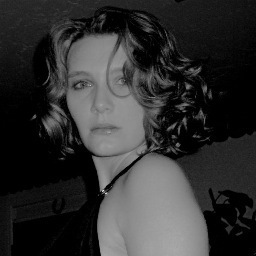 You can read more of her flash fiction online at her blog; be sure to follow her on Twitter. The planet had been almost entirely vacated. Only those too poor, too ill, or too crazy to leave remained. Christa supposed she fell into the last category. She wasn’t like the cultists who’d elected to stay because they thought God had returned; Christa stayed because she was curious. She stayed so she could see the heart of a black hole. Christa slept during the day, wandering deserted streets at night and taking inventory of the stars. Fewer and fewer burned through the black veil each night, devoured by an even deeper, more permanent blackness. It happened during one of her midnight walks. Christa cartwheeled into the sky, consumed by a blackness so cold and complete it was like being unborn. She collapsed, falling inward and inward and inward, until she was one with the heart and there was nowhere left to fall but out. Christa exploded through the darkness. A new heart for a new world.